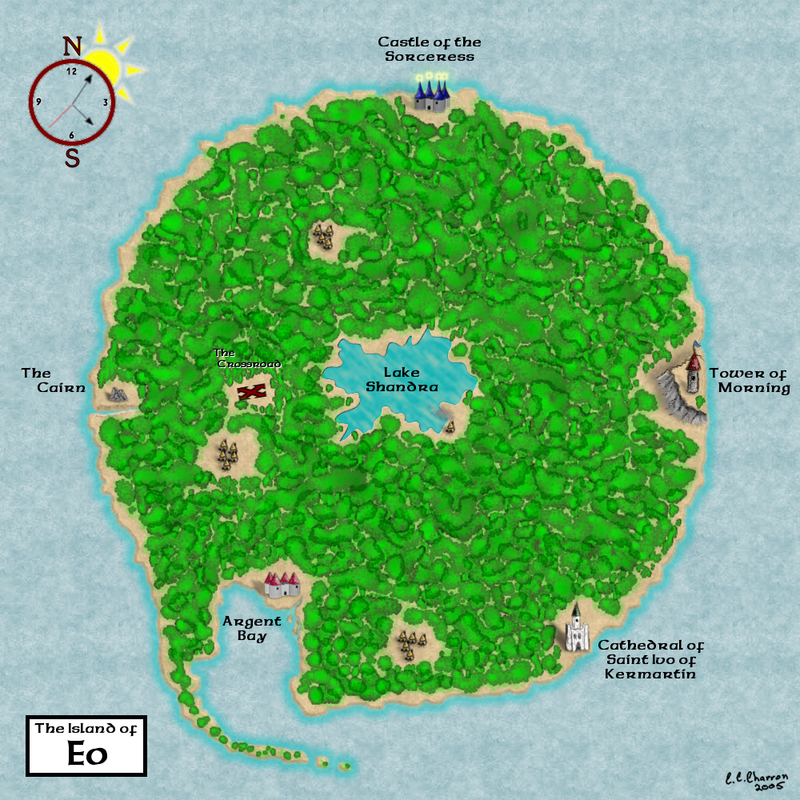 The island of Eo is my own creation, inspired by a good many sources, including Arthurian legend, the Wizard of Oz and Alice in Wonderland. The little girl described below is my daughter, who is currently the only player; but I expect at some point she'll invite her friends to play. Click on the map above to view a larger scale version.